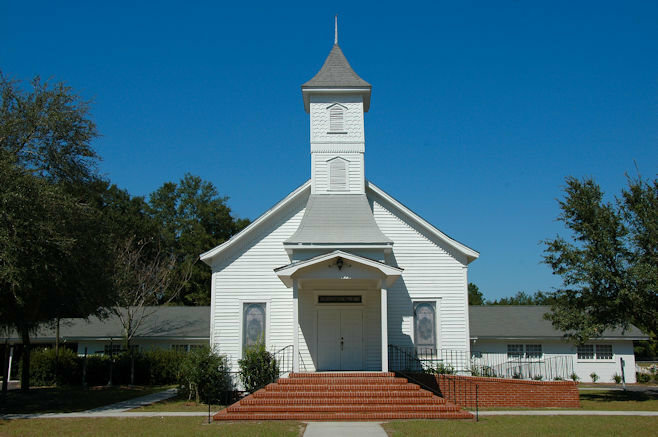 Organized as Bethany in 1854, this congregation built their first church around 1860 about a mile from the present location. 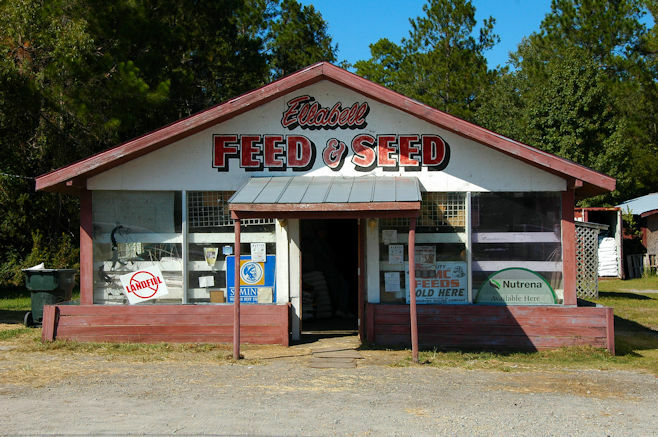 In 1900, during the pastorate of Reverend J. H. Frisbee, Bethany agreed to move into the town of Ellabell to increase membership. They built this church in 1904, using much of the material from the old location, and David Hess notes that this material was rolled on logs. The interior finishings of the church were done by Reverend Frisbee, who was also a contractor. I’m not exactly sure when the name was changed to Ellabell Methodist, but it was likely around this time. Many of the early records of the church have been lost and if anyone has pertinent information, please share it here. 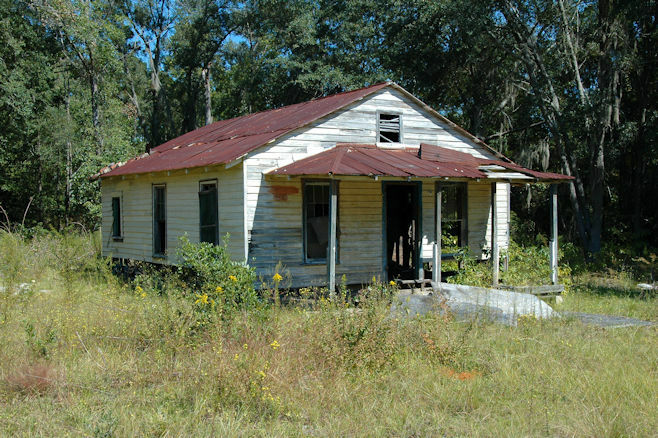 Faye Morris Sanders writes: This was the home of Rossie Shuman Adams. A very sweet lady who is missed by all the loved ones. I’ve been in the house a few times with my sister, Kaye Morris Shuman who used to married to Ms. Rossie’s son, Ashley Shuman. 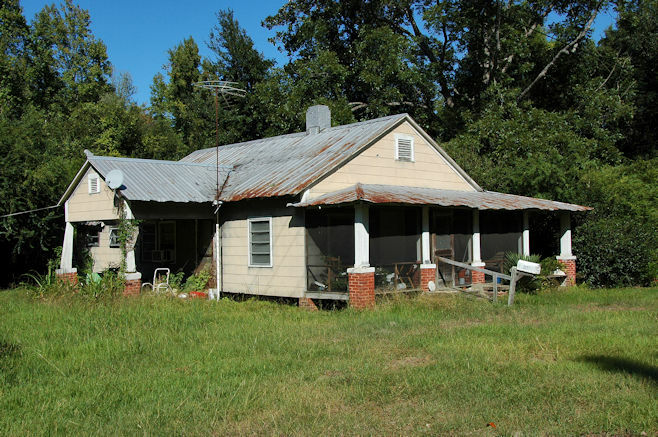 I can tell you that its a sweet little country home and everything always so neat and so pretty. I loved to walk in her kitchen; she always had something good to eat, whether country foods or home baked goodies! That woman could cook! 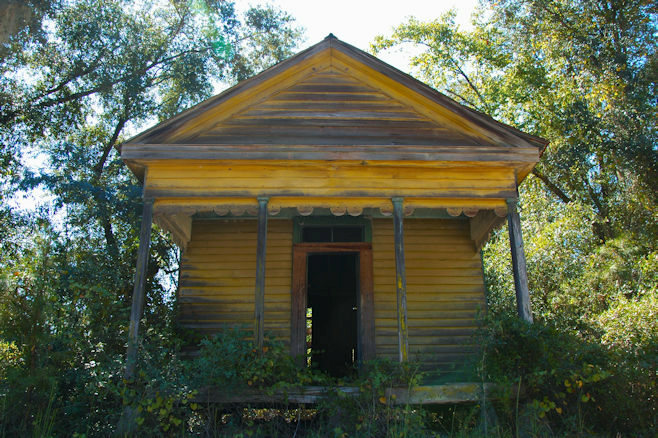 This unusual shotgun house is half the depth of a normal version and features ornamentation uncommon in Georgia examples.